The Accelerated Mobile Pages(AMP) is an effort by Google to offer an accessible framework for creating fast loading mobile web pages. AMP enables publishers to easily improve the loading speed of their pages on a mobile without compromising on the ad revenues. Apart from this you also have the AMP Ad landing pages (ALP) which are designed to speed up the experience of a user who clicks on an AMP ad. The main goal of the Accelerated Mobile Pages is to see that effective ad monetization on the mobile web takes place while it follows a user-centric approach. Not just this but it also has the objective to provide support for a comprehensive range of ad formats, ad networks, and technologies in AMP. Companies like Google, Twitter, Facebook and many others are backing initiatives such as AMP. The biggest goal for any web or mobile developer is to create highly responsible and fast to load sites and pages without losing out on readership. At OdiTek we help to deliver the most flawlessly developed Accelerated Mobile Pages (AMP) that help web publishers load their content almost instantly. Being the best Google AMP development company in India, we are adept at not only delivering efficiently coded and developed web pages but also create solutions that are highly adaptive and scalable across devices. Accelerated Mobile Pages (AMP) is an open source initiative that helps businesses create content that is accessible irrespective of OS or form factor. 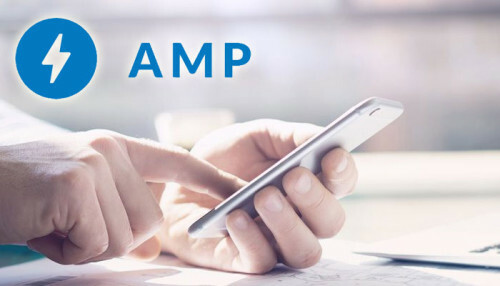 Regardless of your industry vertical or number of websites you own, our expert AMP developers provide simple but powerful Google AMP services or Google mobile first indexing compatibility to ensure maximum return-on-investment. We make sure that your requirements are tailored properly and excellent service is delivered in the first place. Moreover, we provide a reliable and fast support, 100% satisfaction and money back guarantee. Advertisements and Analytics: Accelerated Mobile Pages (AMP) allows for publishers to post ads without interrupting content load time or interfering with the user experience. This results in higher ROI without losing out on readership, thus keeping publishers and advertisers happy. Low Bounce Rate: Improved mobile compatibility and reduced loading time lower the bounce rate of your website effectively. OdiTek has the experience of setting up AMP pages for your news website, as well as other categories of websites. AMP pages give you a higher chance of showing up in the Google News carousel, make your mobile pages super fast and may give you a special Google ranking boost in the future. We have deployed AMP pages on both custom CMS (content management systems) and packaged CMS systems like WordPress. OdiTek is an award winning web and mobility solutions provider with one of the best UX Design Studios in India. We are the leaders in developing the best Accelerated Mobile Pages (AMP) for companies across the world. We understand the need for companies to almost instantaneously capture their viewership and help develop the right solutions to meet this exact goal. We help companies develop rapidly deployable mobility solutions that are detail-rich and visually immersive.